After losing six of their last seven, including their last three, the Portland Trail Blazers (13-11) return home from a two-game trip to host the Phoenix Suns (4-20) for the first time this season Thursday night at the Moda Center. Tipoff is scheduled for 7 p.m.
• Thursday’s game marks the first of three meetings between the Trail Blazers and the Suns during the 2018-19 season. Portland swept the season series in 2017-18, 4-0. The Trail Blazers have won 11 of their last 14 games against the Suns. 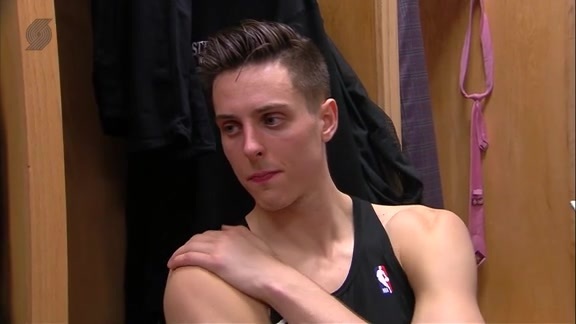 • LAST MEETING: Portland trailed the Suns by 10 points entering the fourth quarter, but stormed back to win on a Damian Lillard layup with 0.9 seconds remaining, 106-104. Lillard had 40 points, including 19 in the fourth quarter, to go with 10 rebounds and fi ve assists while Devin Booker had 30 points and nine rebounds for the Suns. • CLEANING THE GLASS: Portland is second in the NBA in rebounds per game (49.1) while Phoenix is 29th (39.9). The Trail Blazers have out-rebounded their opponent by 10-plus rebounds in seven games this season, while the Suns have been outrebounded by 10-plus boards nine times. • In four games against the Suns last season, Damian Lillard averaged 30.8 points (47.1% FG, 42.4% 3-PT, 84.4% FT), 6.8 rebounds, 6.5 assists and 1.00 steal. Lillard has scored at least 25 points in eight straight games against Phoenix, including five games of 30-plus points. • CJ McCollum averaged 23.7 points (41.9% FG, 40.0% 3-PT, 91.7% FT), 3.7 rebounds, 4.0 assists and 1.67 steals in three games against Phoenix last season. McCollum has scored 20-plus points in eight consecutive games against Phoenix and has made at least four three-pointers in four of those contests. • Jusuf Nurkic averaged 12.8 points (40.4% FG, 65.0% 3-PT), 10.0 rebounds, 2.5 assists and 1.25 blocks in four games against the Suns last season. Nurkic has had a double-double in three of his last five games against Phoenix. • In four games against Portland last season, Devin Booker averaged 29.8 points (45.2% FG, 43.8% 3-PT, 95.5% FT), 6.5 rebounds, 4.8 assists and 1.00 steal. Booker has scored at least 30 points in each of his last three games against the Trail Blazers. • CONNECTION: Trail Blazers forward Al-Farouq Aminu and Phoenix forward Trevor Ariza were teammates in New Orleans during the 2011-12 season. • CONNECTION: Suns guard Jamal Crawford played for the Trail Blazers in the 2011-12 season, posting averages of 14.0 points, 2.0 rebounds and 3.2 assists in 60 games (six starts). Trail Blazers guard CJ McCollum is questionable with a left ankle sprain. Devin Booker (left hamstring) is out and T.J. Warren (right ankle) is questionable for the Suns. Thursday's game can be seen locally on NBC Sports Northwest with Kevin Calabro, Lamar Hurd and Brooke Olzendam. 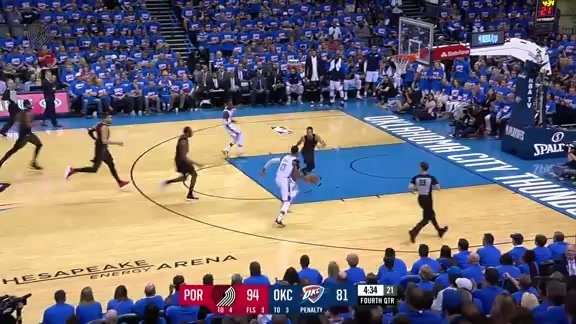 NBC Sports Northwest also streams 76 live games during the 2018-19 Trail Blazers season. NBA League Pass will also carry the game, though blackouts based on location apply.